If you’re planning on island hopping in south-east Thailand, you will no doubt pass through Koh Samui. But the island is no longer just a jumping off point. In recent years, there’s been a surge in the food scene with restaurants popping up across the coastline. Alongside accommodation from the likes of Asia Villa, this could be your dream vacation. On Koh Samui, you will find some of the best food that this gourmet nation has to offer so spend at least a couple of nights on the island. This 5-star resort on the north-east corner boasts 2 restaurants that match the idyllic surrounds. 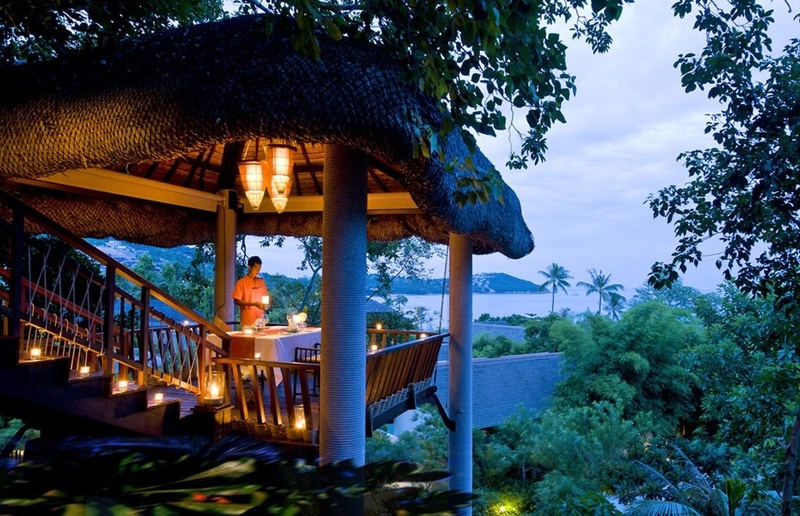 Sala Samui is the more renowned of the two and offers a unique dining experience right on the seafront. With a selection of Thai-inspired and western dishes, the menu will satisfy any palette. The Thai food is innovative, with less well-known dishes so come with adventure in mind. The western menu has favourites such as angus steak; great for the more conservative eater. Three courses cost THB 1,100 and house wine starts at THB 1,190. Part of the Khwan Beach resort, Passa restaurant offers a wonderfully intimate dining experience on the north coast. The interior is traditional wood with an open kitchen creating a stunning atmosphere that attracts a young and diverse crowd. 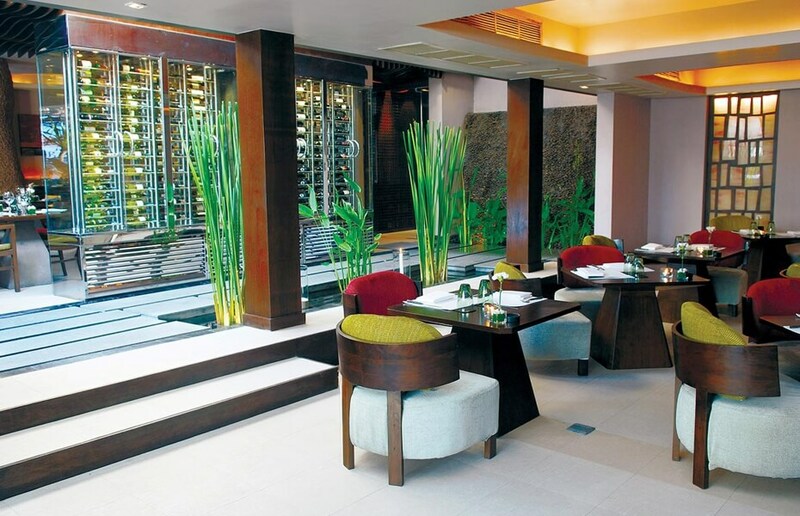 Either choose to dine in the restaurant or select one of their private salas and be ready for a treat. The Belgian-Flemish chef has created an understandably eclectic menu taking the best local ingredients and adding a twist to his European style. The scallop starter and grass-fed beef main are highlights and guests return for his unique take on fine dining. 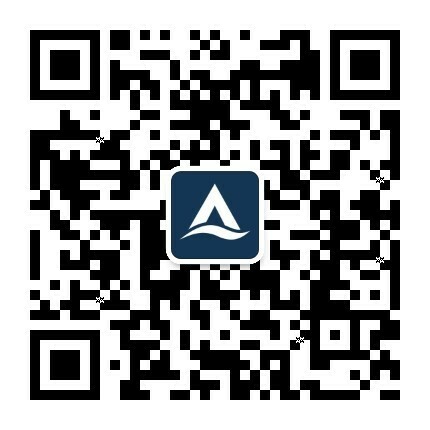 Expect to pay from THB 1,500 for 3 courses. Dining on the Rocks at Six Senses Samui is a truly mesmerizing experience, perched above a rocky outcrop on the north-eastern with views of Ko Pha Ngan. The area is beautifully illuminated at night and incredibly romantic. The restaurant’s ethos is around organic and sustainably sourced produce that extols the flavours of superb ingredients through modern techniques. There are à la carte and set menu options, each delivering an experience in Thai-fusion cuisine with dishes such as Turbot, lettuce Jus and Crispy Milk showcasing the European flair of the chef. Set menus start at THB 3,400 (vegetarian option at THB2,800) or à la carte from THB 2,800 for 3 courses. Renowned for its food and service alike, Zazen is a fine dining experience like no other. With one of the strongest reputations on the island, richly deserved, the staff will make you feel like royalty and the food will take you places you rarely go. A restaurant for the refined palate and gourmet experiences. 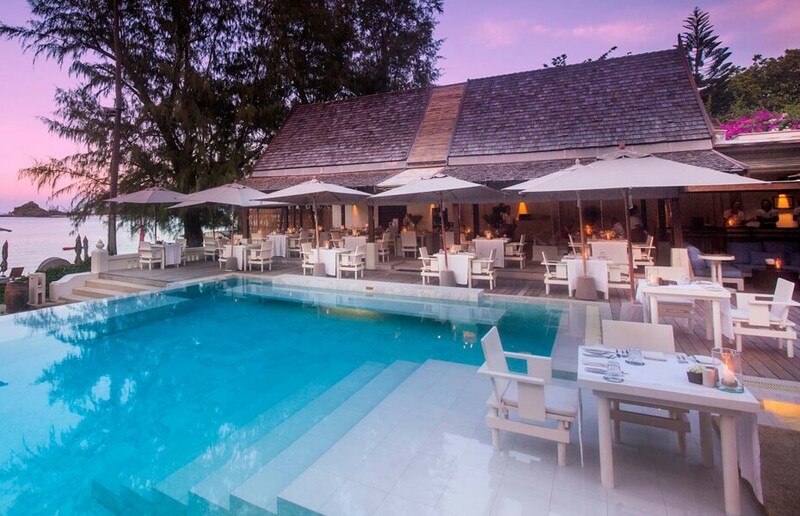 The menu delivers local and international cuisine but the “Best of Samui” is a highlight, bringing together the delights of the local seafood. Great value with 3 courses from THB 1,200; plus a strong selection of international wines. 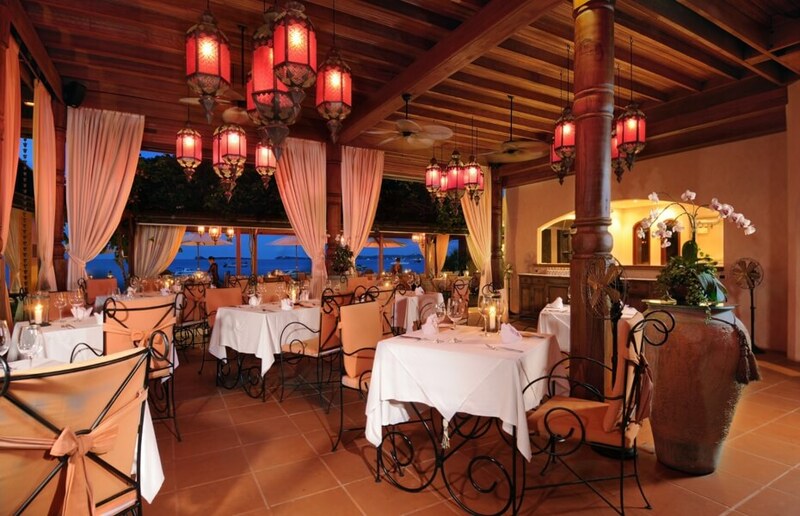 Barracuda offers an unashamedly Mediterranean menu at a beautiful location overlooking crystal-clear oceans. Located at the Wharf in Bophut, the restaurant is easy to find and has a modern feel that suits those looking for clean food, presented well. The menu boasts a selection of meat and fish dishes including a fillet of sea bass on coriander and carrot pappardelle, so anyone looking for mellower flavours will enjoy eating here. Mains range from THB 600 – 1,100 so expect to pay from around THB 1,200 for a 3-courses. 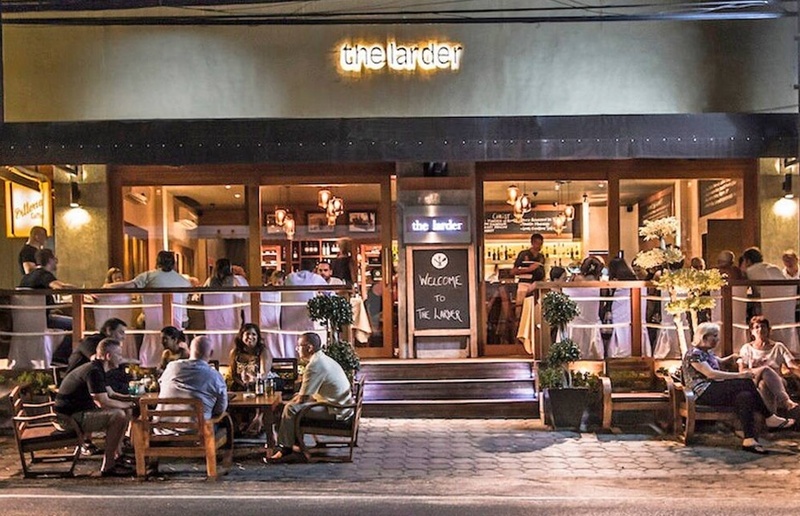 The Larder is the newest addition to Chaweng; a no-frills menu with expertly put together, beautifully simplistic dishes. The kind of dining experience one would expect from a high-end British pub but in a more modern setting with all the class of a Thai dining establishment. There is a fine selection of small and large plates on the menu. From the scotch egg with asparagus dippers to the snow fish and chips, you’ll find a taste of home with local colour. This restaurant-bar is very affordable and a meal will cost around THB 800. There is a great cocktail menu as well for those looking for a tipple. A stunning setting above Chaweng Beach, nestled within the trees looking out towards the sea. This unique location is set back from the more vibrant beach front and offers the perfect surrounds for a quiet meal for two to reflect on a magical holiday. 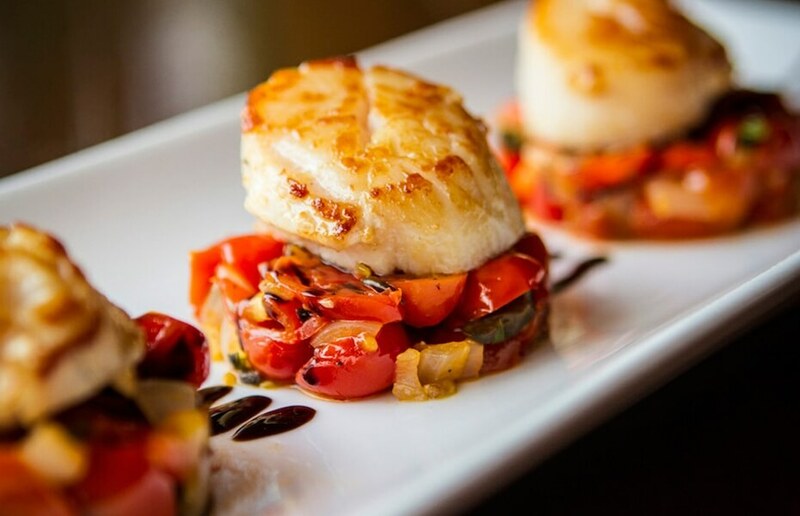 The menu serves up a variety of more recognisable dishes with the foie gras and scallop plates a favourite amongst those treating their loved ones. The extensive wine list means you can enjoy a long, relaxing evening amongst nature. A 3-course meal costs from THB 2,400, and set menus start at THB 3,900. The setting is worth the money alone. 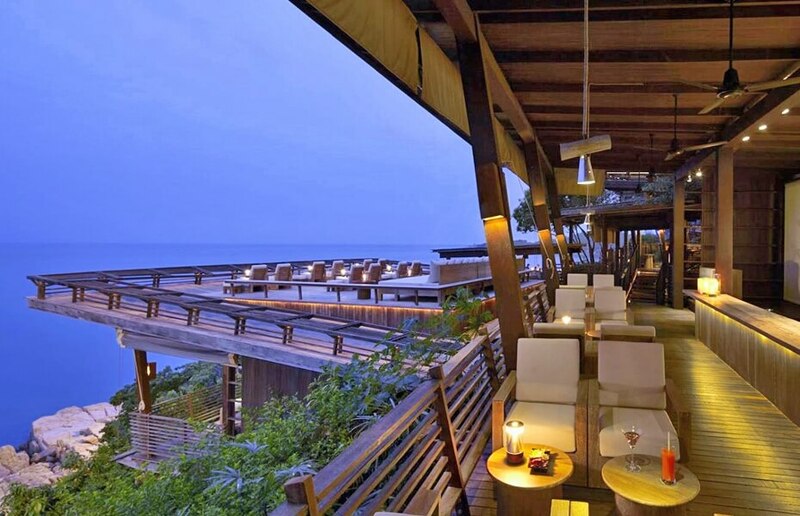 This refined beach front bar-restaurant offers a lovely, laid back vibe with a young and modern crowd. The chef is of German descent but has spent years travelling the world and this is evident in the diverse menu he’s curated. 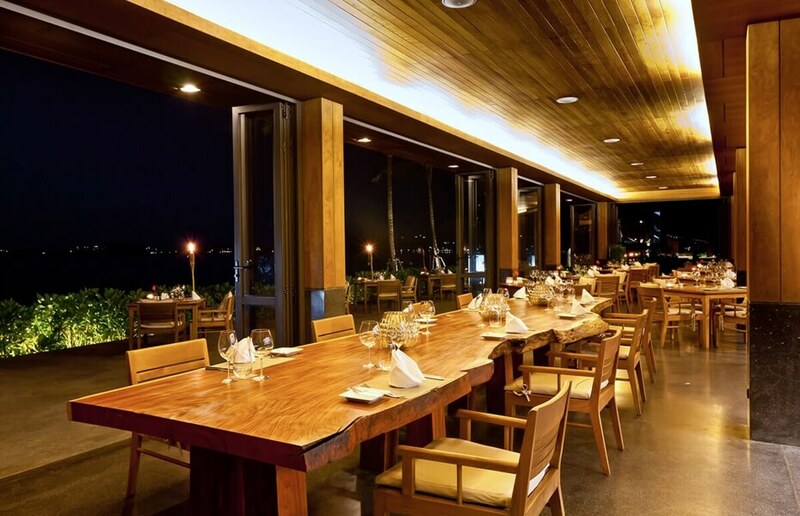 Set in the heart of Bangrak Beach, the restaurant offers a wonderful ambiance that has led to them winning the Thailand Tatler Best Restaurant award on several consecutive occasions. The menu offers Thai classics alongside global favourites and the duck confit is a thing of beauty. Mains range from THB 600 – 900 and a 3-course meal costs from THB 1,300. The wine cellar stocks a good variety so this is the perfect stop off for those looking for a good grape. French cooking at its best; in Thailand. 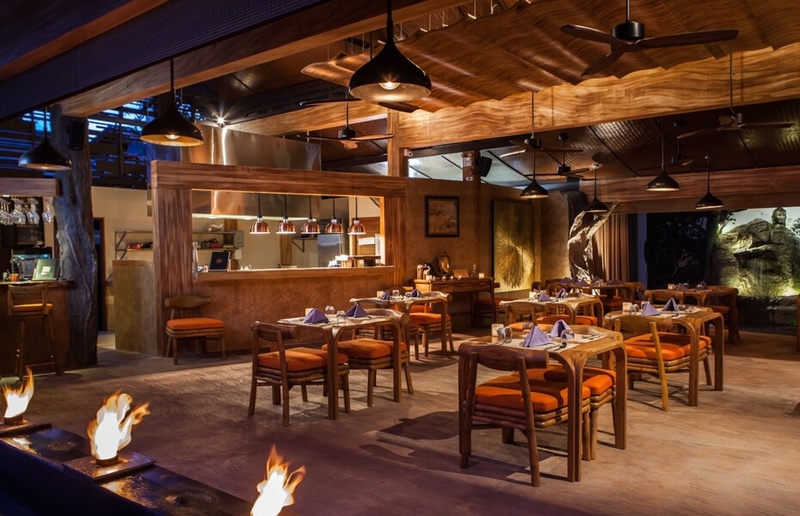 H Bistro is the signature dining destination of the Hansar Samui resort and is unrivalled in its beauty. With the option of dining out under the stars or sitting in the well-appointed restaurant, this is a place for the trendy. The à la carte menu offers some of the finest French dishes you could hope to eat including a Bresse Royal Pigeon that any Michelin-starred chef would be proud of. There is also a fine selection of Thai specialties that deliver the flavour and warmth one would expect of the local cuisine. The menu is varied and prices range but – if you wanted to choose the unique ‘dining under the stars’ experience with your own barefoot butler – expect to pay THB 5,199 (or 7,699 with wine). 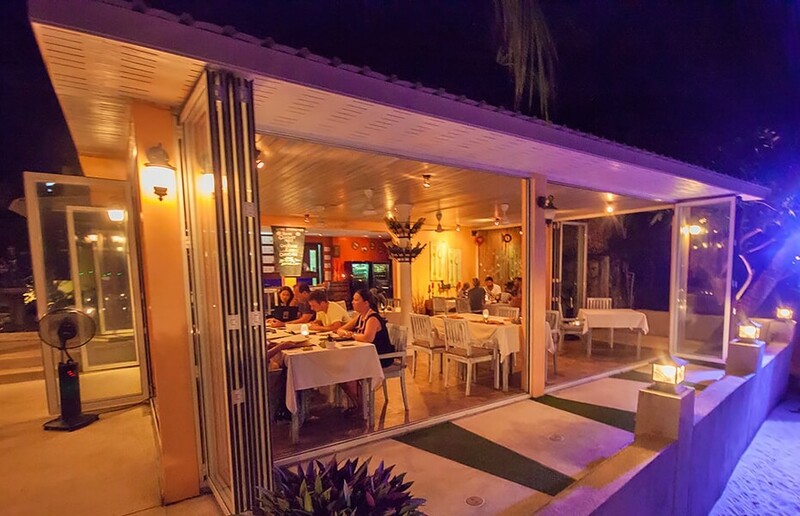 A self-proclaimed epicurean experience and another great value destination in Chaweng. With a chic bar and modern European restaurant, customers arrive looking for a laid back but lively vibe; and Red Snapper delivers. The menu packs flavour and variety with their Italian dishes being a particular delight – the Gnocchi Tiger Prawn is an unexpected treasure. Not only known for its food but also its entertainment, you are guaranteed an enjoyable night. The dishes are affordable and 3-courses costs from THB 1,000. Koh Samui has risen through the ranks of global food destinations and now sits as one of the top places to visit for anyone seeking culinary excellence. When you have a wealth of options to stay – like Asia Villas – and eat, then there is no reason not to choose this reborn island paradise as your next holiday.